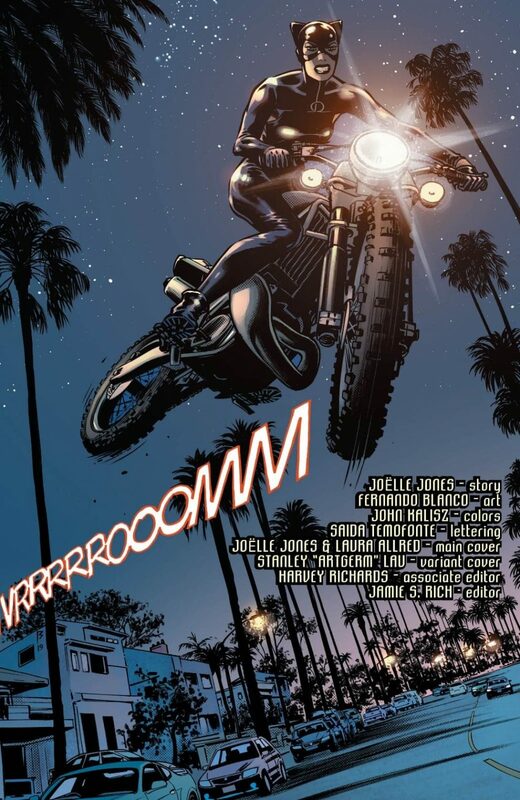 This issue is a wonderful return to form, as Joëlle Jones returns to write the story once again. The rewarding break in tone, and from the ongoing story in issue 9 was a great way to stretch the book’s legs. 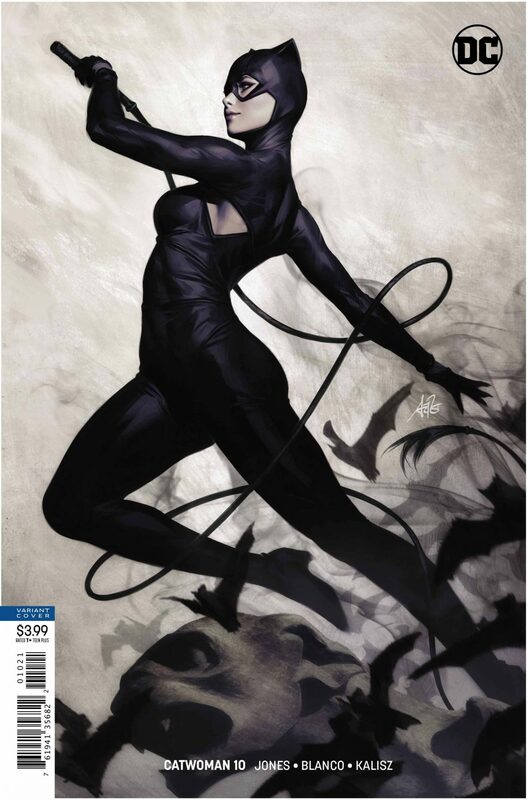 For me right now, Jones knows Catwoman better than most writers going these days. 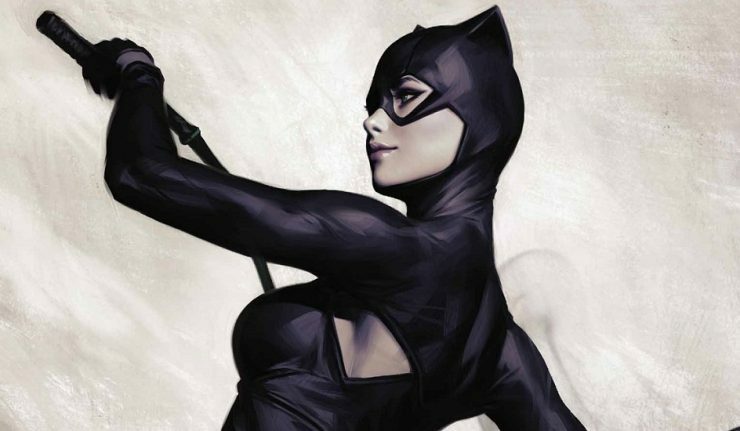 In this issue, the writer’s sharp wit goes vroom across the page, just like Catwoman does. I still can’t quite believe that’s the title. I’ve been reading comics for almost my entire life, and never have I seen onomatopoeia used as a title. 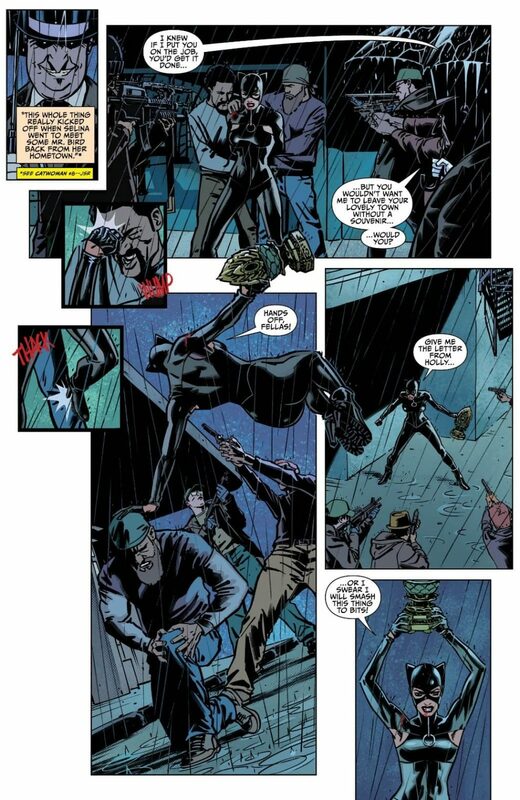 When Jones last handled Catwoman, back in issue 8, we saw her tangle with Penguin. An odd artefact drew a lot of attention and now we’re seeing the consequences. This issue explains things that would make no sense without context very well, and the rest translates across very well. Some of the images are very creepy. 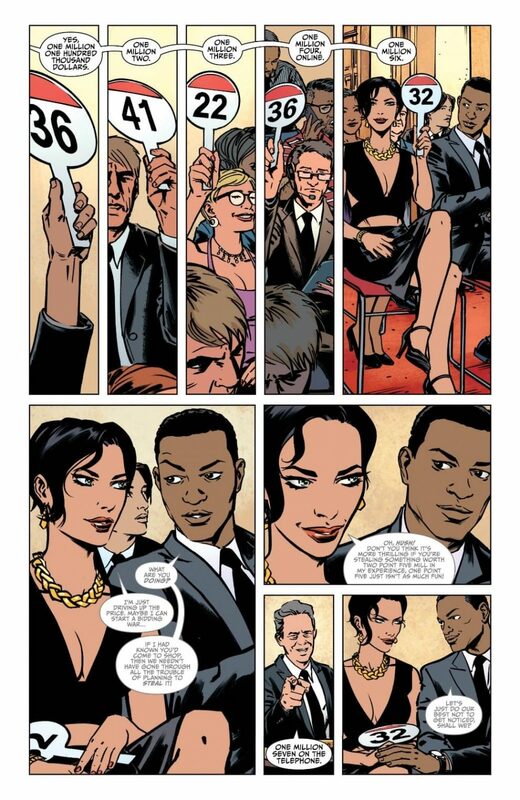 I have to give real credit to Blanco’s art style and Kalisz’ use of color. 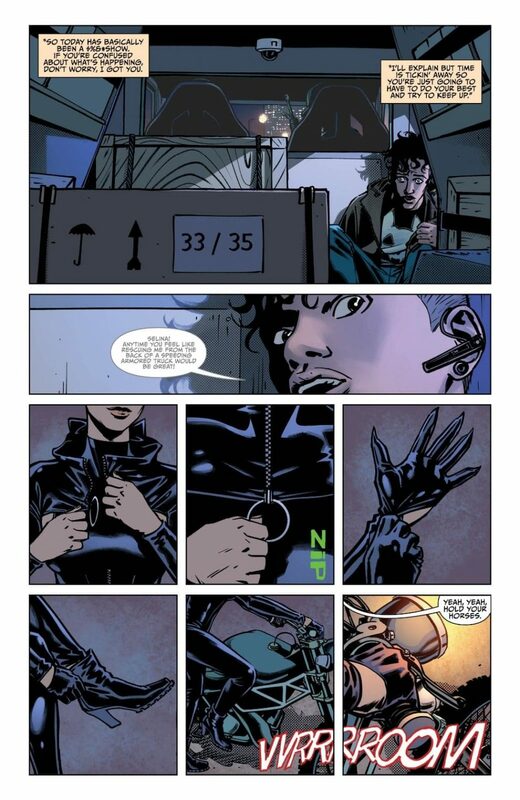 The muted tones and thick lines are something that I’ve come to expect from Jones’ run on Catwoman. It’s clear that it’s meant to be the same style, but the differences are clear. A simple change in artist can help the type of story being told feel unique. 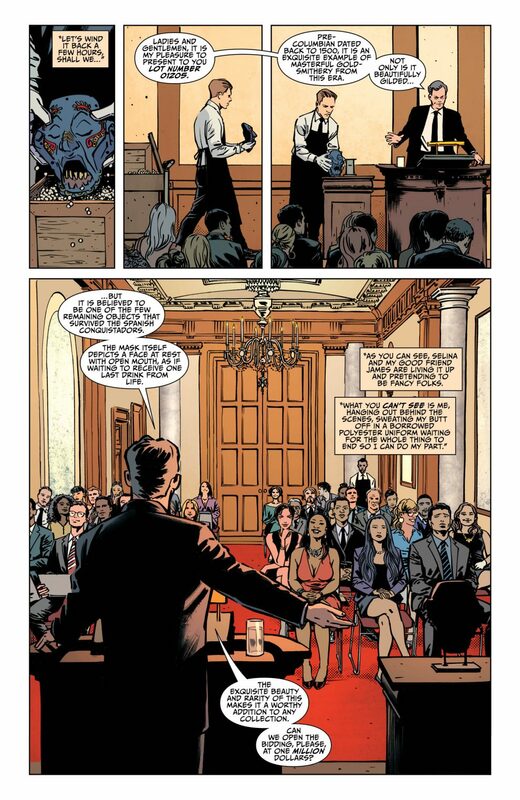 In terms of the plot of the meeting with Penguin in issue 7 and 8, not a lot has been added and there aren’t any big shaking reveals. What there is though, is a lot of thread pulling. 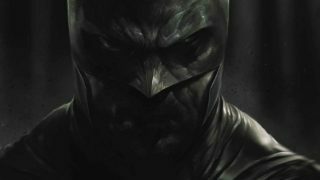 The openness and the scope for consequences our hero could soon face are huge. The quality of the way this character is written, plus the simple brilliance of this issue’s art leaves me eager for more.